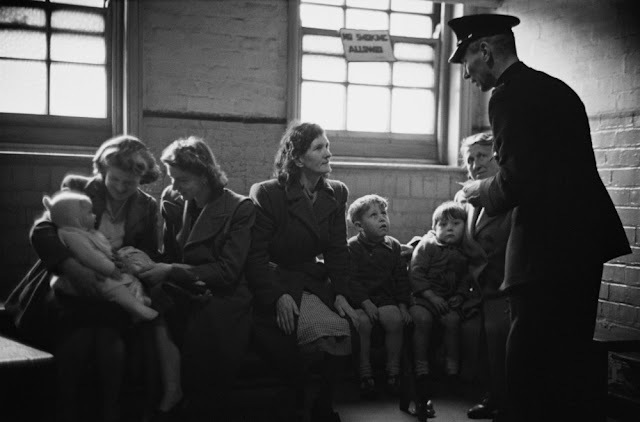 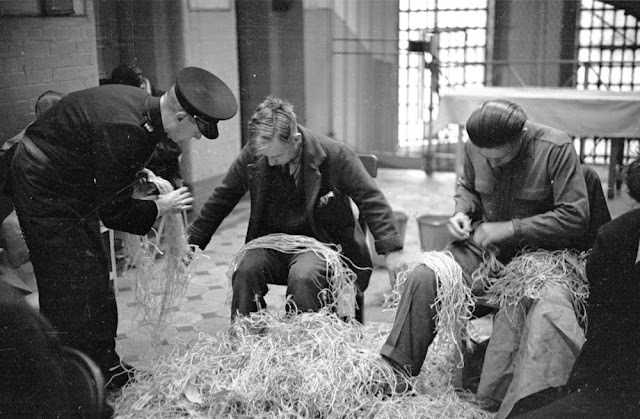 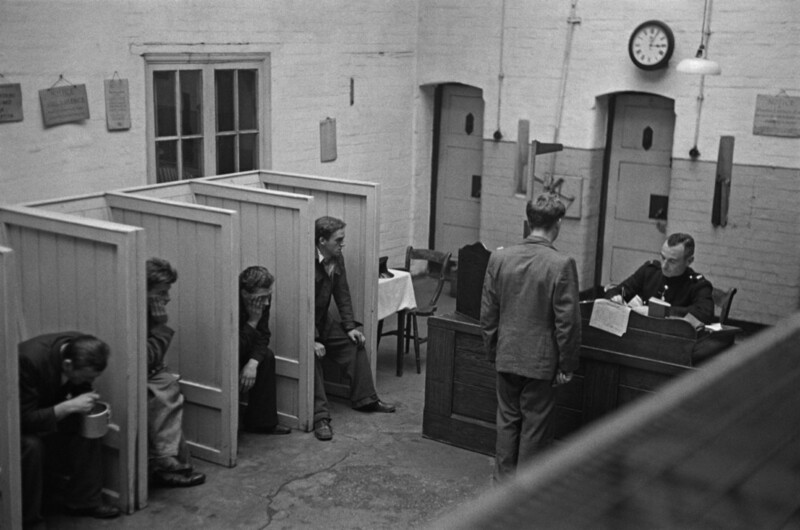 Shot by Bert Hardy in November 1948, these black and white images show prisoners carrying out remedial tasks such as untying knots in post office string and sewing mail bags. Other intriguing shots show lags doing their daily one hour outdoor exercise, being frisked for contraband items by officers during a routine “rub down” and serving evening meals. Strangeways was designed by Alfred Waterhouse and opened in 1868 alongside the now destroyed Manchester Assize Courts. 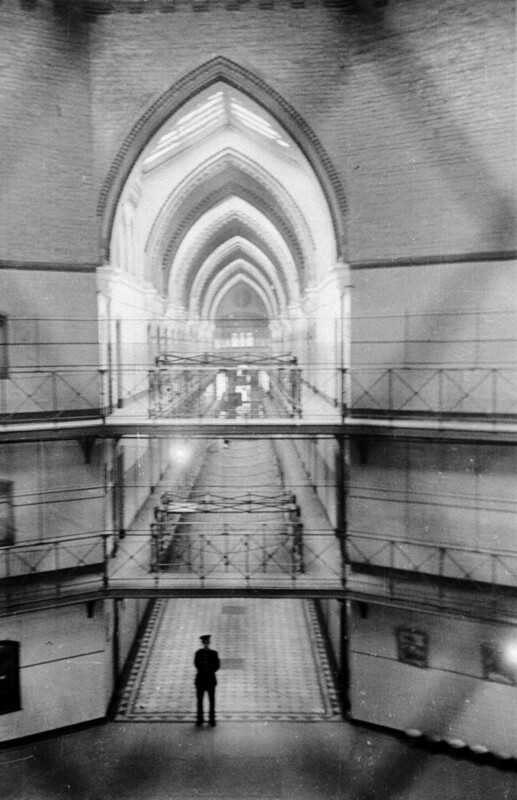 The prison is known for its prominent ventilation tower and imposing design, structured by the principles of the separate system. 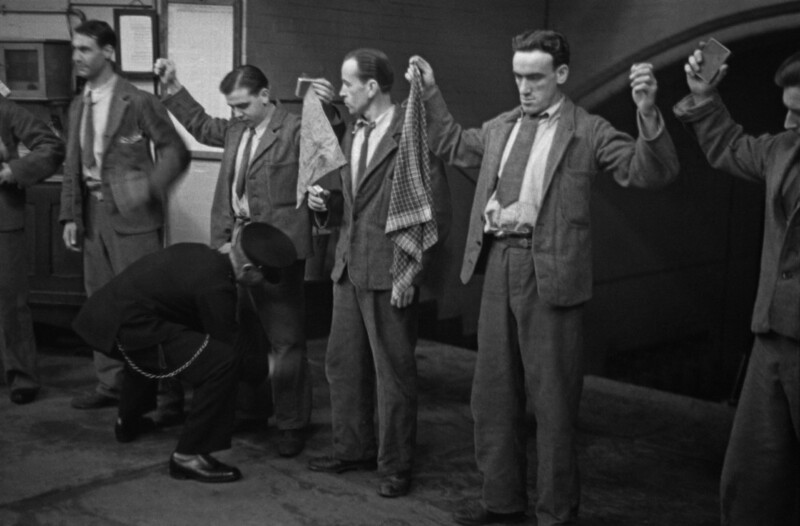 A prison officer supervising prisoners as they take out their night-slops at Strangeways Prison. Prison officers watching over prisoners as they take their daily hour of outdoor exercise at Strangeways Prison. 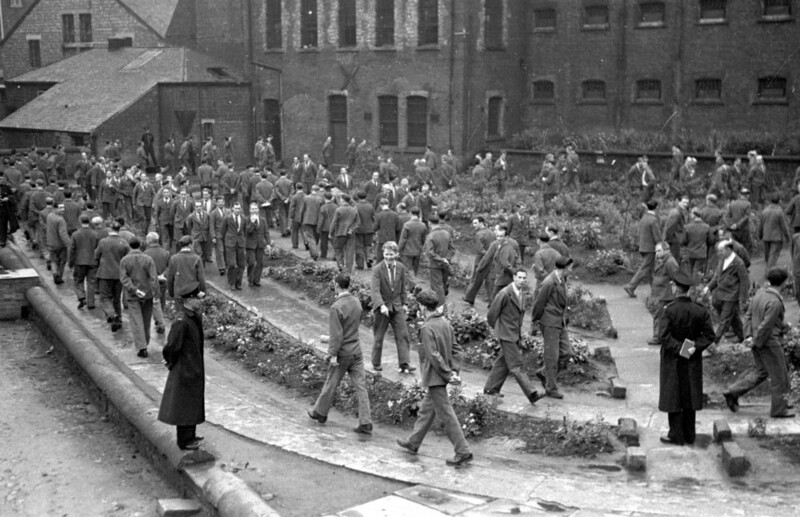 Prison officers watching prisoners return from their daily outdoor exercise at Strangeways Prison. 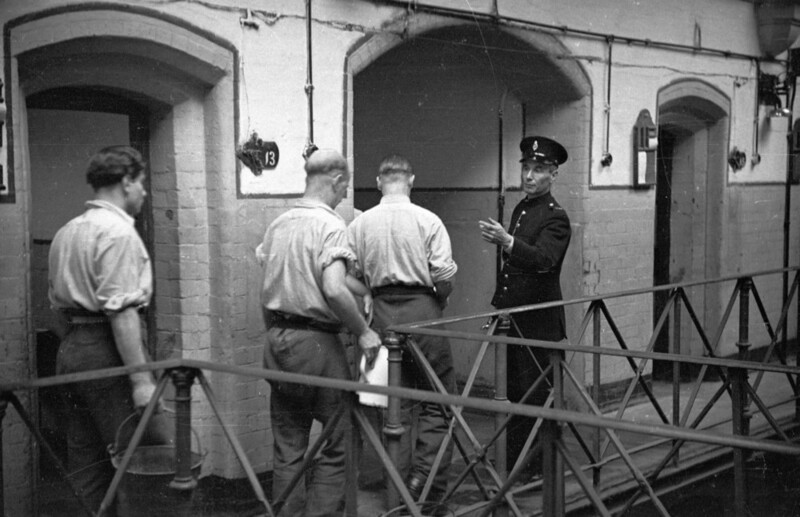 Prison officer Davidson interviewing a group of new prisoners in the reception room at Strangeways Prison. A prison officer watches over prisoners who are busy sewing mailbags in Strangeways Prison. A prison officer supervising prisoners who are untying knots in Post Office string at Strangeways Prison. 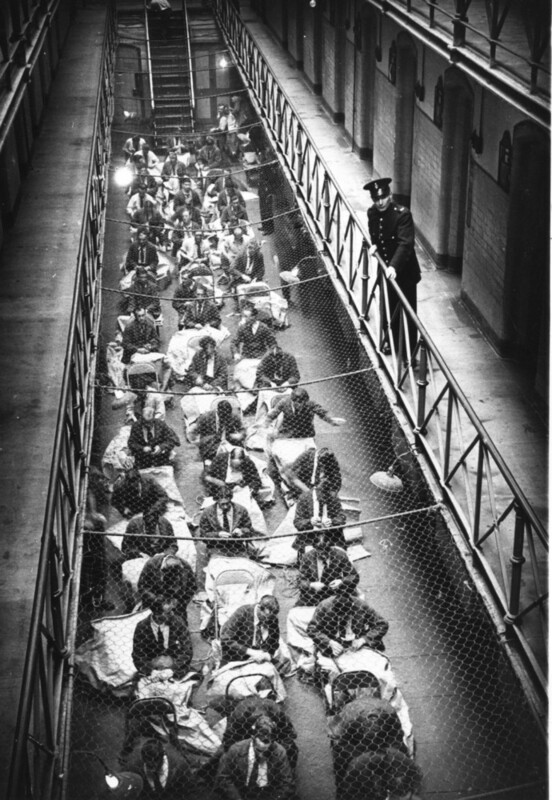 Prison officers watch over prisoners at Strangeways Prison. 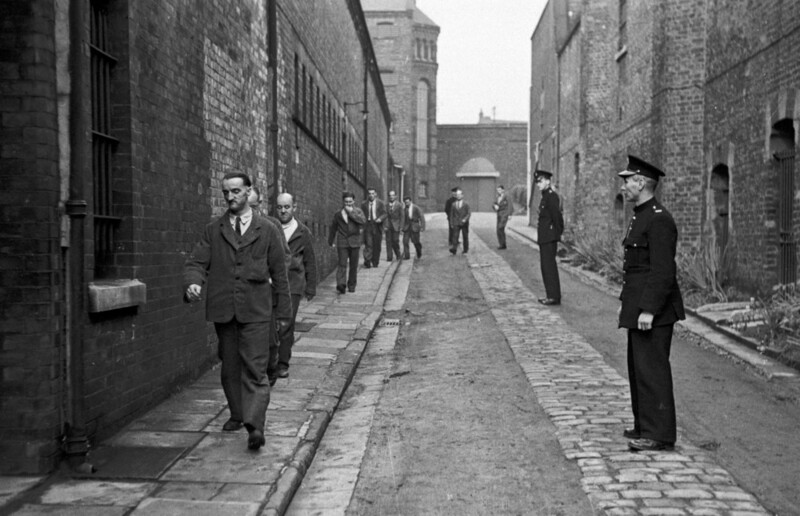 A prison officer surveys his dominion at 6.30 in the morning shortly before the wake-up bell at Strangeways Prison. 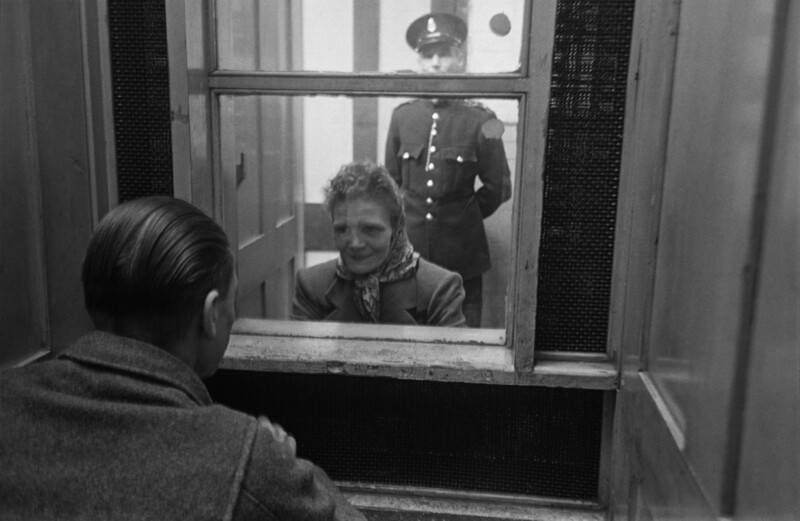 Prison officer Davidson watches as a prisoner talks to a visitor at Strangeways Prison. 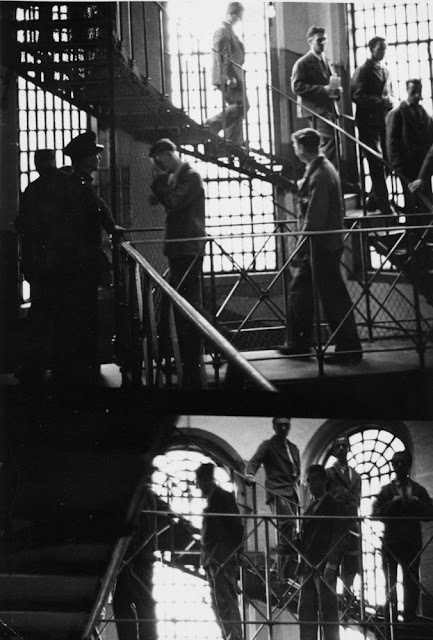 Prison officer Davidson talks to a group of visitors at Strangeways Prison. 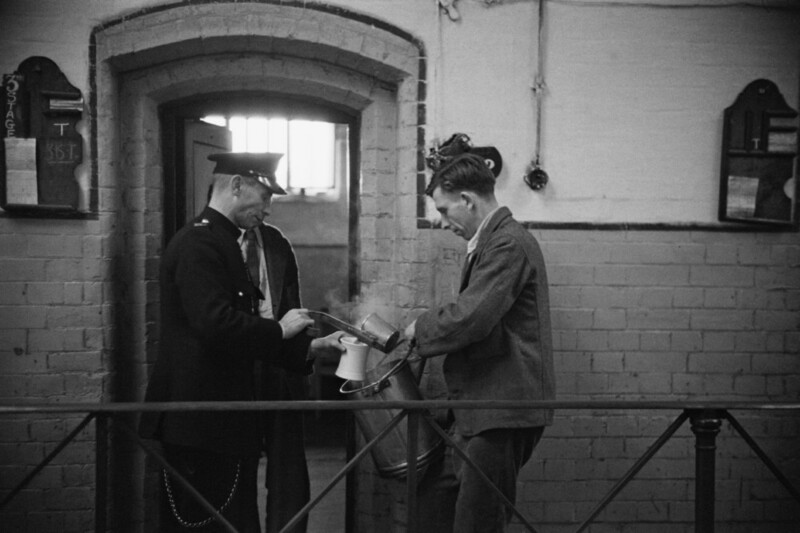 Prison officer Davidson serving a prisoner a meal at Strangeways Prison.